I went to 黃石樂器Yellowstone Music Shop. It is most my favorite Taiwan's Instruments shop. Because it can buy harmonica in Yellowstone. I usually playing 10 holes harmonica. 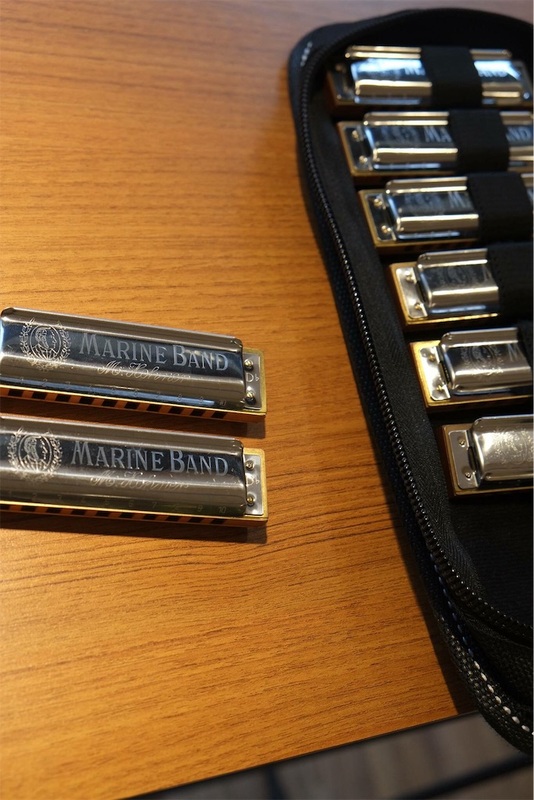 I using "HOHNER Marine Band Classic". I bought Marine Band in Japan. It was key D♭. But why sound was D.. In harmonica, it is written as D♭. After I bought Marine Band's D♭ again in Taiwan haha That was D♭ sound without a mistake! Oh HOHNER is mistaken.. But Marine Band is amazing sound! !